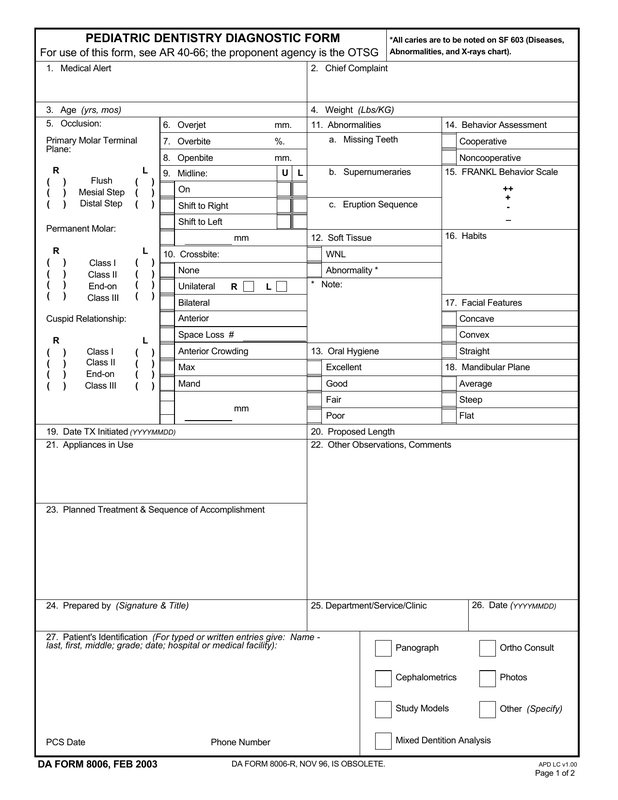 Dowmload DA Form 8006, also known as Pediatric Dentistry Diagnostic Form. This is a form that is used by a pediatric dentist for examination. Once completed a treatment plan would be developed and the form will be placed into the patient record. All caries are to be noted on SF 603.